NEWS: WIFI connection is now available in all guest rooms and public area. The luxury Hotel Esplanade Praha located right in the heart of Prague´s historical center is ready to take care of its valued guests. In 2008 all rooms were newly renovated and equipped with all modern conveniences as aircondition or LCD television of 32´´ and more. . . Let yourself be carried away by the atmosphere of twenties when the hotel was opened. 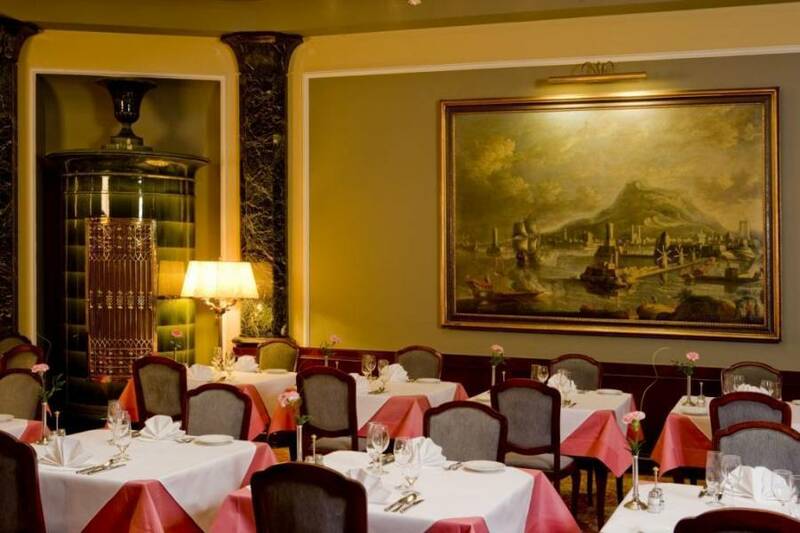 The luxury Hotel Esplanade Praha, located across from to the Prague State Opera, has been an elegant meeting point for the city´s cultural and business life nearly for 80 years. Nowadays, in 2008, all guest rooms were elegantly renovated to fulfill all comfort requiered by our guests. 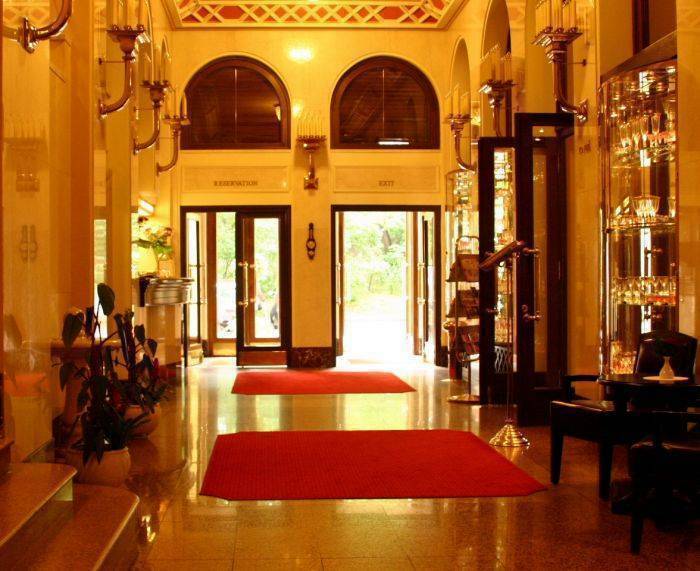 One of the most famous hotel of twenties has a unique historical atmosphere balanced with ultra modern comfort. Elegance reveals itself at the Hotel Esplanade Praha. Built in 1927 this hotel is a legendary place capturing the essence of that time. Prague, one of Europe´s most gorgeous cities, reflects the beauty of its historical past and today´s fast-forward pulse. Nowadays, Prague is the centre of business and culture with its monumental architecture, bustling streets and cultural potentials. Thanks its great location you can easily enjoy romantic walks through the historical parts of Prague as well enjoy the shopping in the main shopping streets or romantically stray in the cobble paths of the historical Prague. Everything is within reach. It is the ideal place from which to explore the cities´ famous cultural landmarks. Our staff is ready 24 hours a day to fulfill all your requirements and needs. Unlimited wireless internet access in the restaurant and lobby. The French Restaurant, The Café, The Hotel Night Bar, 3 x Conference rooms for total 110 people. All of our 74 newly renovated guest rooms and suites pay tribute to the historical atmosphere of the hotel to fulfill the individual needs and expectations of its guests. Each room is fully air conditioned, equipped with classical elegant furniture of precious wood reflecting freshness and style which were made especially for our hotel. 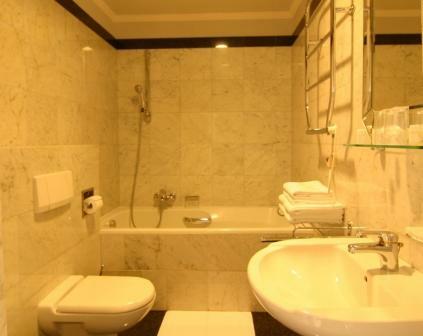 The spacious bathrooms are made of Italian Carara marble. Room amenities Big Flat TV 32, Central Air-conditioning (adjustable), Fully stocked Minibar, Safe in Room, Work Desk with Lamp, Telephone with Direct Call, SAT (31 Channels), Hairdryer, Shower or Bathtub, Electronic Key Door System, Secondary Locking Device, Double Opening Windows, Thermostat (adjustable), Electronic Smoke Detectors, Central electrically system. 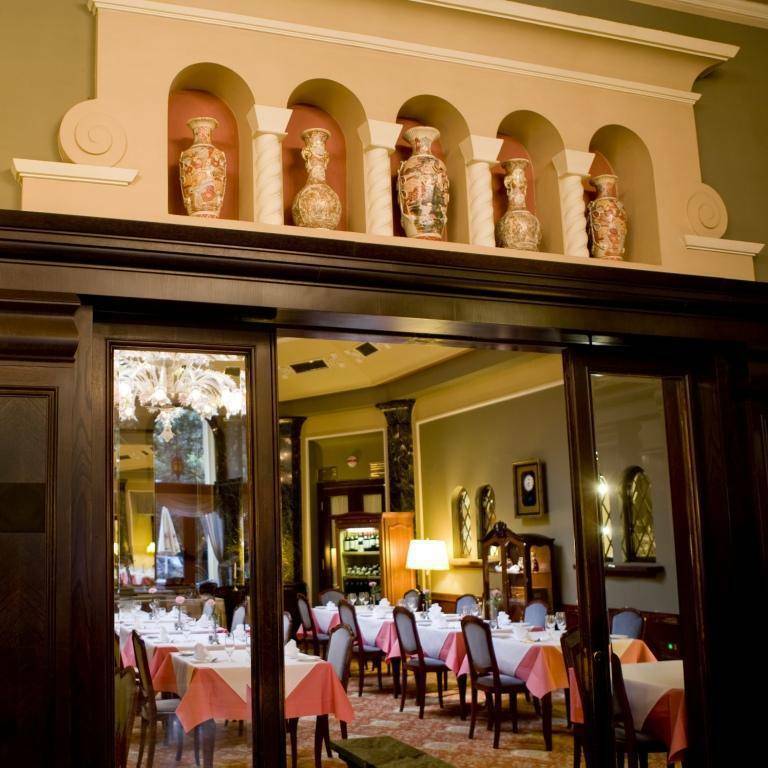 Our restaurant offers daily menu for special discounted rates and also great choice of typical czech and international cuisine. Traditional Czech and International cuisine - high level ! Superbe Restaurant in State Opera suitable in combination with any performances. Rates are Vat and tax included. Children under the age of 12 years are free of charge in the room with parents. Payment is possible directly in our hotel in cash or by credit card upon the departure. Credit card details are taken for gurantee. Hotel Esplanade Prague is located in quiet area but very close to downtown. There is a park and State Opera house in front of the hotel. Metro/Subway station - Muzeum or Hlavni Nadrazi 0, 2 km.